Think that your partner showers are way too hot and want to prove once and for all that they are basically washing with boiling water for no good reason? 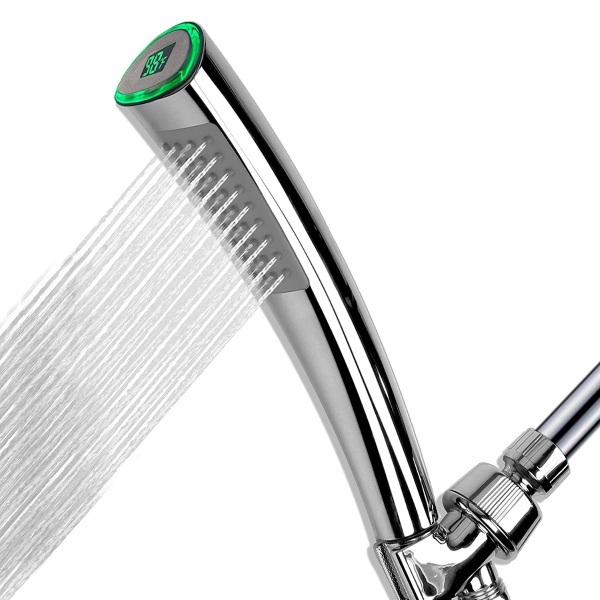 The LED Thermometer Handheld Shower Head is the shower head that comes with the temperature on display. This shower head displays the temp right on the head as the water is pouring. Get a solid idea of how hot is too hot with just a glance, no need to test with fingers, arms, feet, etc. The LED light. The light changes colors depending on the temperature of the water so at glance you can see at least if it’s in the range you’re comfortable in. Don’t worry about batteries, this light is water powered. As long as the shower is going, it has the juice to keep going. Great for washing kids so the water is always just right. Or just yourself because no one likes too cold or too hot showers. You can get one of these for $27.99.